Strange Biodiversity Art Will Reveal Louisiana’s Oil Spill #CitizenScience « Adafruit Industries – Makers, hackers, artists, designers and engineers! It’s been six years since the Deepwater Horizon oil spill in Louisiana and it’s hard to forget the images of dark edged waves and oil dipped birds. The question is, how has it affected the wildlife? 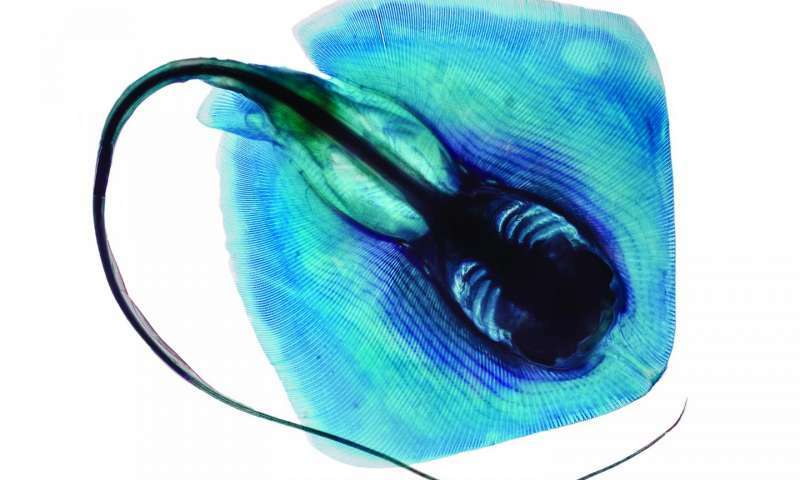 Prosanta Chakrabarty, Curator of Fishes at Louisiana State University Museum of Natural Science, and artist/scientist Brandon Ballengée are collaborating on a project that will help bring discussion to this important topic. It’s called Crude Life: A citizen art and science investigation of Gulf of Mexico biodiversity after the Deepwater Horizon oil spill, and I discovered it on Phys.org. The researchers will survey the biodiversity at 15 locations in the Gulf of Mexico twice a year for two years and compare what they find with data from museum records gathered before the oil spill. The researchers want to involve the public by inviting school groups and community members to take part in the fieldwork. There will also be a mobile unit for this project, including artwork, which will allow many more people to experience the findings. The mobile museum will include digital hand-held field guides of Gulf of Mexico fishes, animations, sculptural displays, a series of visual artwork of rare and at-risk species and a library of recent studies and interactive maps pertaining to the oil spill. The mobile museum will be on display at community gathering spots such as schools, civic centers, churches and libraries near the sampling field sites. It will also be on display at regional community events such as Mardi Gras and festivals throughout the year. I know in Philadelphia there has been a trend of art and science groups using the mobile museum model. It’s a great way to engage people that may never have interest in a museum, or who simply can’t afford it. I like to think of it as a “smart party in a box” waiting to be discovered. In the case of Louisiana, setting up a mobile museum at Mardi Gras sounds like a novel idea. High fives to the National Academies Keck Futures Initiative for funding this work. People will be amazed to discover how their part of the Gulf of Mexico is a special home for certain species of fish, and they may also be in for some sobering art. The photo above is Ballengée’s RIP Bluntnose Stingray from his Ghosts of the Gulf series. Does that darkness represent oil? Not sure, but it certainly gets my interest. Would you like to experiment with your own nature photography? 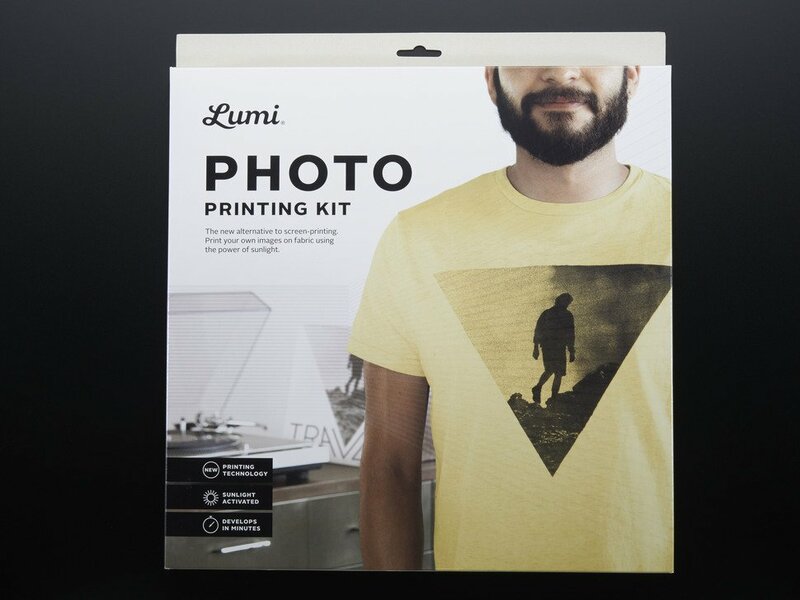 Why not put your fave image on a t-shirt with our Lumi Photo Printing Kit. It uses special photo sensitive dye, so you are actually processing with the sun. Make your own statement about the biodiversity in your neighborhood.